It's all child's play for Ireland's try-scoring hero and a host of other big kids who have turned to Lego as the ultimate way to de-stress. It may be generally perceived as the domain of children, however the humble building blocks have become increasingly popular with adults seeking to forget their pressurised lives. This week, the Lego company announced it is bringing out new sets specifically targeted at grown-ups to help relieve stress. The Forma kits, which allow you to build, decorate and operate kinetic fish, are the latest innovation in the relatively new "kidult" market. The demand is also far greater than Lego imagined, exceeding the company's goal by over 1,000pc since it began its crowdfunded IndieGoGo campaign last week. But big kids have been fans of Lego long before now. 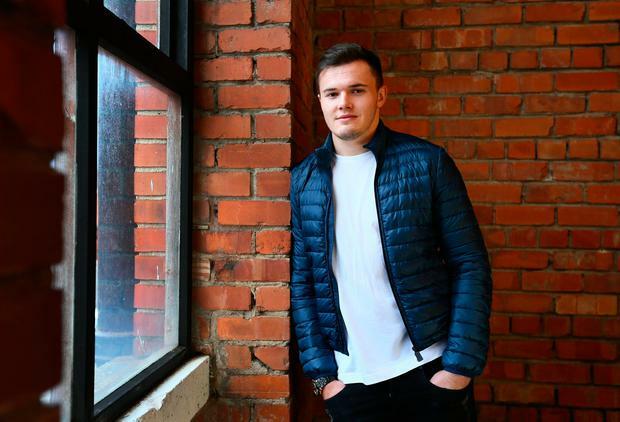 Ireland's Jacob Stockdale has also admitted becoming obsessed with Lego over the past year. He recently built a model of the Millennium Falcon from 'Star Wars', which took him about seven hours to complete. "When you're building that the night before a game, you finish and you go, 'that's three or four hours where I literally haven't thought about the game at all'," he said. "It helps me to switch off and then switch back on again when I finish it. It didn't occur to me at all whenever I first started it that it would be a benefit, but it is," he said. Ross Maguire, founder of Learn It Academy, which runs workshops using building blocks, believes nostalgia plays a big role in why adults love the relaxing hobby. "Lego design kits bring back memories of their childhood. "As a child I watched 'Star Wars' and I still have the Lego from it. It does help de-stress and you can also afford kits that maybe you couldn't when you were younger," he said. "Personally, if I have had a stressful day, maybe teaching a lot of children or helping children with special needs, I'll still go home and use Lego even after using it all day. At Christmas, I might spend a day building when my wife and kids have gone shopping." But for some Irish people Lego is a serious business. 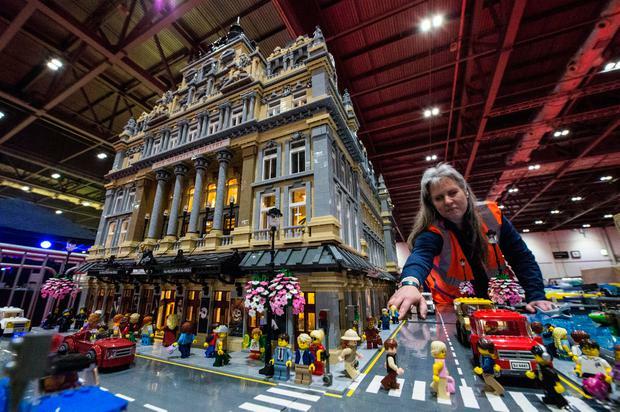 Kildare woman Jessica Farrell boasts of being the largest Lego collector in Ireland and was featured in an RTÉ documentary in 2016. The mother of four (49) spent an entire year recreating Her Majesty's Theatre in London - using almost 60,000 pieces of Lego. She spent 700 hours working around her day job as a gardener to create the stunning 3ft-high replica. 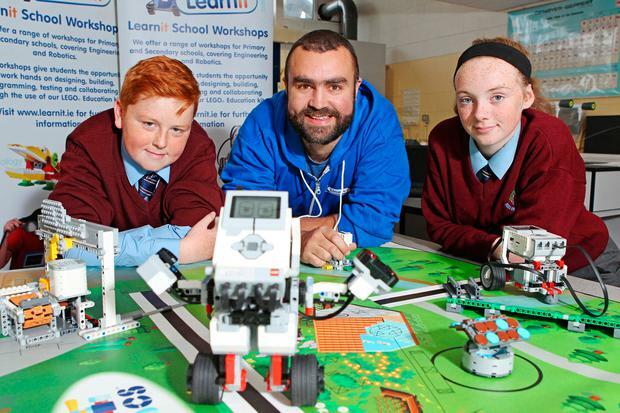 Dublin siblings Patrick (12) and Catherine Caddell (10) recently took part in Channel 4's 'Lego Masters', a show that aims to find Britain and Ireland's most talented amateur Lego builders. While they did not make it to the next stage of the competition, the series gave the pair an opportunity to exhibit their incredible building skills. But will taking up Lego as an adult be worth your while? Dr Allison Keating, a psychologist at the bWell Clinic believes it's a no-brainer. "Any activity that is task-driven but not too challenging is a fantastic way to de-stress," she said. "Many adults today don't have an outlet that allows them to zone out and become fully engaged with."